Morocco’s economic performance has steadily raised living standards over the past several decades. In spite of this sustained growth, rural poverty and vulnerability persist. Moroccan agriculture continues to be one of the least productive in the region. About half of the country’s labor force is employed in agriculture, but the sector produces only 16% of GDP. In order to reduce rural poverty and grow faster and more sustainably, the country must increase the productivity of agriculture. A significant aspect of transforming agriculture is developing more effective policies and programs to make better use of the country’s land, water, forests and the rural labor force. Land and natural resource issues facing Morocco include: (1) lack of comprehensive policies governing land, water, forests and mineral resources; (2) underdeveloped legal frameworks and limited, ambiguous formal laws governing land and other natural resources; (3) a limited rural land market; (4) limited water; (5) undeveloped programs for participatory forest management; and (6) slow progress on women’s rights of access to and control over land and natural resources. In recent years, the government of Morocco has initiated several large programs to address some of these issues, including improving agricultural productivity through expansion of irrigated land and development of water-delivery infrastructure. In contrast to its success in program implementation, the government appears to have been less effective in developing the policy frameworks necessary to build effective natural-resource governance bodies and institutions. In the area of women’s rights, the government succeeded in enacting the relatively progressive Family Code, but the law has not had the desired positive impact on women’s daily lives. Morocco has a long history of legal pluralism. Parallel systems of customary and formal law, informal and formal land-administration systems, land markets, and dispute-resolution tribunals operate; their effectiveness and efficiency is undermined by their plurality. With the support of donors, the government is implementing its ambitious Green Morocco Plan (Plan Maroc Vert), a series of programs designed to improve agricultural productivity by modernizing the sector and supporting new investment. The plan’s achievements may be limited by the often ambiguous legal environment and well-intentioned efforts to bring legal certainty through land privatization and registration programs. Such efforts may be useful components of an overall plan of growth and poverty-alleviation; however, absent a governing legal framework, including a land policy that recognizes the range of various rights and interests, there is a danger that the rights of marginalized groups may be lost or undervalued, and that piecemeal efforts to address gaps and weaknesses in the existing systems will not combine to create the type of overarching, integrated framework needed to support Morocco’s growth and development in the decades ahead. USAID and other donors with experience developing policies could support government efforts in considering how best to meet the country’s need for a single legal framework governing land rights and provide technical assistance, especially in the areas of: (1) harmonizing principles of religious, customary and civil law; (2) integrating communal and private land rights; and (3) developing a rangeland management and use policy. With the support of donors, the government has undertaken a variety of watershed management programs in cropping areas. Rangeland ecosystems, which help reduce flooding and runoff and support groundwater renewal, are degraded in some areas from inappropriately located cultivation and overgrazing. USAID and other donors with experience in watershed management can provide technical assistance and support the protection and rehabilitation of mountain and hillside watersheds that are critical to downstream water supply. While Morocco has made laudatory efforts to create national parks and protected areas, the country has been slow to update its legal framework to reflect best practices or to adopt a participatory forest management approach to forest governance. Donors can assist the government in developing a framework that supports the engagement of local communities and comanagement of forest and rangeland. Donors with experience with initiatives supporting women’s rights could assist the government of Morocco, women’s organizations, and legal-aid organizations and other civil-society members to develop a strategy to implement the principles contained in the Family Code. Attention can also be paid to ensuring that women are represented in governance bodies developed to manage natural resources, such as water-user groups and forest cooperatives. Most of Morocco has an arid and semiarid climate and is battling desertification and a trend of reduced rainfall attributed to climate change. The country’s agricultural sector provides a relatively small percentage of GDP, but despite growing urbanism still employs almost half the population. The average farm size is relatively large (1.6 hectares) and 30% of farms are over 5 hectares, but most cultivation is on rainfed land, and productivity suffers from lack of inputs. Livestock allow households to diversify, but rangeland is increasingly pressured by expanding cultivation and degraded by overuse. In years of good rainfall, Morocco’s agricultural productivity is high, and farmers are able to feed the country, but when rainfall is scarce, the country relies on food imports. The country has made strides in reducing poverty, but economic vulnerability remains widespread. The country does not have comprehensive land legislation: the legal framework governing land is a mix of customary law, Islamic law, French civil law and a series of decrees, some of which date from the early 1900’s. Most of Morocco’s land is held collectively by tribes (with the state serving as trustee) or in joint ownership by multiple, often multigenerational family members. In both cases the land-tenure systems constrain the development of formal land-markets: most of the collective land is individualized but cannot be sold on the formal market, and the multiple ownership interests in private land recognized by Islamic law complicate efforts to register rights under formal law. Most land transactions occur on the informal land market. Parties also tend to rely on local, primarily informal tribunals for resolution of land disputes; public perception of the court system is that it is bureaucratic and corrupt. Few women own land in Morocco and fewer still own agricultural land. Reforms to formal laws such as the Family Code have resulted in relatively progressive provisions supporting women’s rights to marital property and to inherit family property. In practice, however, women’s rights to access and control land and natural resources tend to be subordinated to men’s rights, and absent affirmative support from NGOs and programs women are not benefiting from their legal rights. Morocco is a water-scarce country. The country is highly dependent on its rainfall, rivers, and lakes to meet its water needs. Recurrent drought and reductions in annual rainfall have devastating effects on the quality of rangeland and the country’s food production. The government’s Green Morocco Plan (Plan Maroc Vert, PMV) is concentrating significant resources on expanding the amount of irrigated land. With donor support, the government has undertaken large projects designed to bring safe drinking-water to rural communities and informal settlements in urban and peri-urban areas. Efforts to combat the impact of development and industrialization on coastal lagoons and estuaries are less evident. About 10% of Morocco’s land is classified as forest. Government reforestation and afforestation efforts have resulted in a net gain of forestland in the 2005–2010 period. Many of the forests have high levels of biodiversity, and the government has been a consistent supporter of the development of national parks and protected areas. Less progress has been made in the areas of participatory forest management. Morocco’s legal framework is dated, incomplete, and fails to allow for an appropriate degree of community forest management and benefit- sharing. With the support of donors, the government has made efforts to pilot participatory forest management in some areas, but the programs have been limited in vision and accomplishments. Morocco has about 75% of the world’s phosphate deposits and is the third-largest producer of phosphates. The country also has deposits of several other minerals and is encouraging oil and natural gas exploration. The mineral sector has been responsible for about 7% of GDP, and in an effort to encourage growth, Morocco has privatized some holdings and is engaged in updating the legal framework. The total land area of Morocco is 446,300 square kilometers, not including the disputed territory of Western Sahara, which is an additional 266,000 square kilometers. The country has three geographic regions: the Atlantic coastal lowlands; the mountainous interior (Atlas and Rif mountain ranges); and the semiarid and arid eastern and southern regions. Ninety-three percent of Morocco is arid or semiarid. Just over two-thirds of the total land area is classified as agricultural land, and 19% of total land is classified as arable. Pastureland, which has gradually been reduced by settlement and cultivation, extends over approximately 53 million hectares. Only 2% of total land is permanent cropland (World Bank 2009a; FAO 2005; USDOS 2010). Forests cover about 10% of Morocco’s total land area; reforestation has occurred at an average rate of 0.17% per year between 2000 and 2005. One percent of the country’s land is nationally protected, including 10 national parks, four biospheres, and 160 Sites of Biological and Ecological Interest. About 93% of Morocco’s land suffers from some measure of desertification (Herzenni et al. 2001; Ecodit 2008; Mohamed and Omar 2007; World Bank 2009a). Morocco’s population is estimated at 31 million people (2008), with 56% living in urban areas. Although the percentage of Moroccans living in absolute poverty has reduced from 15% to 9% in the 2001–2007 period, about 27% of the population is considered poor, vulnerable, or near poor. Seventy percent of the country’s poor people live in rural areas (World Bank 2009a; World Bank 2009c). 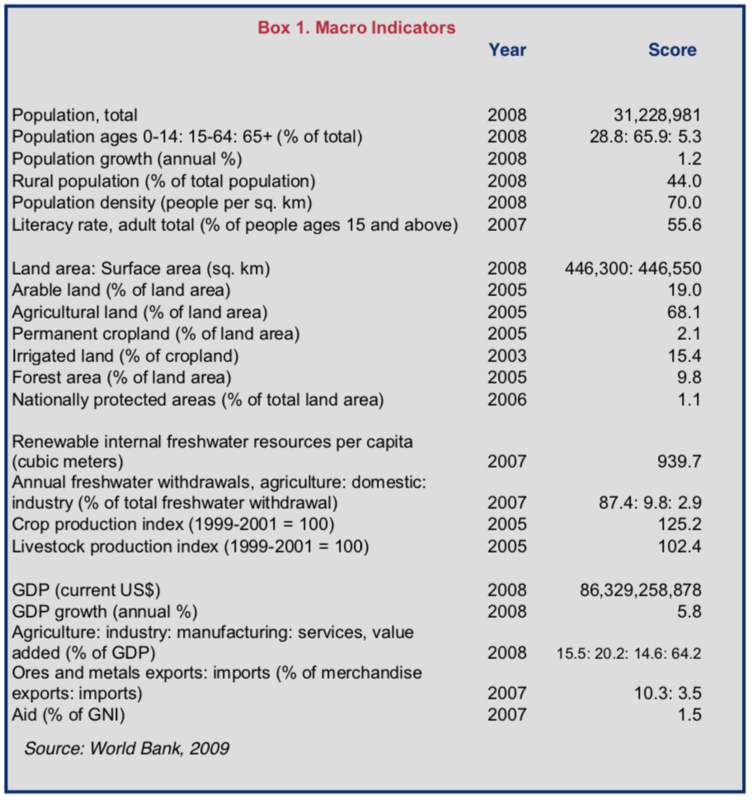 Morocco’s 2008 GDP was US $86 billion, with services accounting for the largest percentage (64%), followed by industry (20%) and agriculture (16%). Despite its relatively small component of GDP, the agricultural sector employs 45% of the labor force, the vast majority of whom work in the informal sector, and the fluctuations in rainfall and good and bad harvests are reflected in the overall economy. Morocco’s main agricultural products are cereals (especially barley and wheat), livestock, citrus fruits, vegetables, olives, wine and fish. Most agricultural land is rainfed, dependent on decreasing amounts of rainfall and vulnerable to the country’s frequent droughts. Eighty percent of farm households keep some livestock; only about 18% depend solely on animal husbandry for their livelihoods (World Bank 2009a; USDOS 2010; World Bank 2009c; Berkat and Tazi 2004). An estimated 1.5 million hectares of land in Morocco is irrigated. Most irrigated land is devoted to export crops. Morocco exports vegetables, citrus, olive oil and wine, but in most years relies on imports to meet its staple food requirements. Constraints to agricultural productivity in Morocco are: (1) harsh climatic conditions, including erratic rainfall and recurrent drought; (2) soil degradation due to erosion and salinization; (3) degradation of forests and rangeland resulting from overgrazing, cultivation of marginal lands, and harvesting of wood for fuel; (4) inadequate water resources and infrastructure; and (5) poor or nonexistent herd management (USDOS 2010; World Bank 2009c; Berkat and Tazi 2004). In recent decades, Morocco has experienced steady urban growth. Between 1960 and 2008, the urban population grew from 29% to about 56% of total population. An estimated 28% of the urban population lives in informal settlements. Most residents in informal settlements have access to safe drinking-water and sanitation, and housing is durable (World Bank 2009c; UN-Habitat 2009). 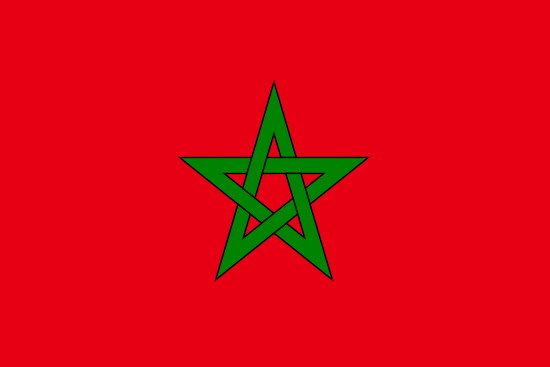 Ninety-nine percent of Moroccans are Berber, Arab, or mixed Berber-Arab. Historically, Berbers were concentrated mainly in the rural areas, and Arabs and Berber-Arabs lived primarily in the coastal areas and northeastern regions. In recent decades internal migration is increasingly common, and all ethnicities can be found throughout the country. Most of the country is Sunni Muslim (GOM 2006; Prengaman 2001; Ngaido 2005). Morocco has an estimated 1.5 million farms. Average farm-size is 1.6 hectares. More than 70% of the farms are smaller than 5 hectares; another 29% of farms are between 5 and 50 hectares. Four percent of farms are larger than 20 hectares. Of these larger farms, only 0.7% exceeds 50 hectares; these large farms use 18% of Morocco’s arable land. About 4% of farmers are landless. Small farm-size is associated with low income-levels and vulnerability to drought (World Bank 2008; Rae 2002; Berkat and Tazi 2004). For more than 30 years, Morocco and the Popular Front for the Liberation of Saguía el-Hamra and Río de Oro (Polisario) have sought control of the former Spanish territory, the Western Sahara. Morocco claims rights to the land based on the historical loyalty of Sahrawi tribal leaders to the Moroccan sultan. The Polisario claims to support the region’s desire for independence. International mediators have been engaged in discussions regarding the region’s future at various times over the last several decades. In the meantime, Morocco exercises de facto administrative control over about 80% of the territory (USDOS 2010). Morocco has a pluralistic legal environment in which both formal and customary law operate. The country’s legal framework governing land is a blend of local customary law, French civil law, Moroccan decrees, and Islamic law. Morocco does not have a land policy or formal comprehensive land law, and the country’s statutory law addressing land rights is fragmented. Much of the formal law is dated and may be augmented by evolving (and not necessarily wholly consistent) case law in some jurisdictions. The extent to which the formal law governs in a particular situation – and, indeed, the interpretation of the law – is dependent on various factors such as the location of the land, its ownership, and local control of land matters. For example, in the rural Middle Atlas region, some village councils apply customary rules of land access and use that are contrary to government policy, while in irrigated agricultural areas, formal law is more likely to be enforced. Large commercial land transactions are generally governed by formal law while residential plots in informal settlements generally transfer under principles of customary law. In some areas, a trend toward increasing recognition of the government’s role in enforcing formal law is evident, but the legal environment continues to be pluralistic and somewhat unpredictable (Reynolds and Flores 2008; Venema and Mguild 2002; M’Hassni et al. 2003; World Bank 2008). The formal law includes Morocco’s Constitution, which guarantees the right of private property. The Constitution provides that extent and use of private property may be limited by national socioeconomic development plans. The Constitution also recognizes that Morocco is an Islamic country, and much of its formal and customary law is founded on Islamic law (GOM Constitution 1996; Reynolds and Flores 2008). Statutory law governing land rights is based primarily on French civil law and includes various decrees and laws regulating aspects of land use and land administration for particular types of land. Some of the more prominent decrees and laws are: (1) the decrees of 12 August 1913 the 2 and 4 June 1915, which require land rights to be registered; (2) Decree No. 1-69-30, which provides for the formalization of rights to collective land within irrigated perimeters; (3) a 1924 decree establishing a framework for delimiting collective land; and (4) Law No. 34-94 (1994) protecting against land fragmentation by limiting land partition. More recently the government has been drafting directives designed to increase the productivity of collective land by removing legal barriers to individualization of farmland and simplifying the land registration system. The status of the proposed legislation is unknown (IFAD n.d.; IFAD 2008; M’Hassni et al. 2003; Leveau 1985; Reynolds and Flores 2008; World Bank 2008). Morocco’s fragmented statutory laws do not provide comprehensive coverage of land rights and administration, and those statutory laws that do exist may not be known or may not be enforced in some areas, particularly rural areas and areas with strong traditional leadership. In many areas, broad principles of land access are governed by principles of lineage, inheritance, and property transfer that are established by Islamic law and local customary norms. For example, customary law in some areas grants tribe members rights to communal tribal pastureland land, sets rules regarding the use of pastureland, and prohibits outsiders from access. Customary law may also continue to govern inheritance rights in most cases despite enactment of the 2004 Family Code (M’Hassni et al. 2003; World Bank 2008; Venema and Mguild 2003; Aldeshev et al. 2009). Ownership. About 28% of Morocco’s land (76% of agricultural land) is private, freehold land (melk). Melk rights include the right to exclusive possession, use and transfer. Most melk is owned jointly by two or more family members, often spanning generations. Religious orders (primarily Islamic) own about 100,000 hectares of endowed (habous) land in Morocco, about 60% of which is agricultural land. Habous land, which is often donated to the mosque or church by wealthy individuals, cannot be sold, although it may be leased or loaned for cultivation. Usufruct rights to collective land. About 42% of Morocco’s land is held collectively by tribes. The state is trustee of the collective, tribal land, and individual tribal members have usufruct rights. Most of the land (98%) is individualized and is heritable. Collective land cannot be alienated outside the community. Use rights to guich land. About 210,000 hectares of land in Morocco is classified as guich land, which was land that the monarchy originally gave to members of the military. The land is within the private domain of the state, with occupants holding use-rights. Over time, the state has retaken a large portion of guich land, in exchange giving the occupants freehold rights to a smaller parcel of land. The rights of occupants of the remaining parcels (mostly near cities) are considered insecure; based on past practice, the state will likely look to the remaining guich land to meet land needs for urban expansion and peri-urban development (GOM 2008; Chatty 2006; Leveau 1985; Ngaido 2005; USAID 2007). State land. The balance of Morocco’s land (about 30%) is state land. The state has public land such as parks, roads, shorelines, rangeland and forests, and land held in the state’s private domain. The state’s private domain includes about 400,000 hectares of agricultural land, land acquired through expropriation and land used for government functions. Leaseholds on state land are available for periods up to 40 years (World Bank 2008; Berkat and Tazi 2004). Land ownership rights (melk) are most commonly acquired by inheritance; about 71% of melk is held jointly with family members, each of whom has an undivided right to the whole. Family members with rights to inherit land under Islamic law are considered to be current landowners who must consent to any land transaction. Melk can also be obtained by purchase and prescription (i.e., publicly recognized occupancy for a period of time). Under Islamic law, an occupant of land can obtain private ownership rights if he or she has held the land openly for at least 10 years (World Bank 2008). Morocco’s formal law requires registration of land rights. Two systems of land registration exist: a formal system maintained by the Land Registry and a traditional system maintained by local traditional leaders. About 30% of land in Morocco, almost all of it in urban areas, is registered under the formal system. The process has been streamlined in recent years: registration requires eight procedures, about 47 days, and payment of 4.9% of the property value. One of the significant barriers to rural land registration is the number of parcels with multiple owners. It is unknown what percentage of land is registered under the traditional system (World Bank 2010d; World Bank 2008). Land-use rights to collective land can be granted by tribal leaders (generally only to tribal members) and by elected officials governing resource rights. For the past 50 years the practice in tribal areas has been to recognize perpetual-use rights for those tribal members who engage in farming in tribal areas zoned for cultivation. Ownership of the tribal land is held by the tribe, and rights granted to tribal members are generally dictated by social position, ability to invest in the land, and political power. The village council decides the dates for opening and closing pastureland, planting and harvesting crops, and appoints a naib (watchman) who determines who is allowed to use certain pieces of land for grazing. In some areas, local government officials representing a broader range of local community interests than the village councils have been able to exert influence over the management of collective land, including land access. For example, over the objection of village councils, some district officials in the Middle Atlas region have successfully enforced the rights of newcomers to grazing land (Chatty 2006; WLP 2005; World Bank 2008; Venema and Mguild 2002). A very limited amount of land has been allocated by the government in land-reform efforts. Since 1969, the government has allocated a total of about 320,000 hectares of state land to about 22,000 landless farmers and smallholders. The government provided subsidized loans for the beneficiaries to purchase the land, but did not offer freehold title. Beneficiaries purchasing land (about 75% have obtained title) are prohibited from transferring the land, including leasing it to third parties (World Bank 2008). Morocco permits foreigners to own land, although they are prohibited from owning agricultural land. Foreigners can lease agricultural land for up to 99 years. In 2010, government announced plans to lease 21,000 hectares of public land to foreigners for development of agribusinesses, with a goal of leasing 30,000 hectares each year (Reuters Africa 2010; Global Property Guide 2007). Morocco’s Constitution provides for the equality of women’s rights in the areas of politics, employment, and education. The Constitution does not make specific mention of women’s rights to own and control land. As an Islamic nation, Morocco generally follows Shari’a law, with some modifications. For example, while Shari’a law generally provides that daughters inherit a percentage (1/2 or 1/3) the share of sons, in some regions of Morocco, women have equal inheritance rights (GOM Constitution 1996; GOM 2005; Naqrachi 2007; OECD 2009). Morocco’s Family Code of 2004 (Moudawana) was enacted to strengthen the rights of women by recording rights of inheritance and allowing for agreement between spouses as to division of common property. The Code includes the following progressive principles: (1) dowry, which is a gift given by a man to the woman he intends to marry, remains the woman’s property after marriage; (2) property that a woman brings with her to the marriage remains her separate property; (3) couples have separate estates (including previous property and property acquired during marriage) and have the opportunity at marriage to stipulate the division of property acquired during marriage. If this is not done, the courts decide the distribution of assets upon divorce; (4) polygamy is tolerated under the law, but only if both the current wife and the potential wife agree to it and only if the husband can prove he is able to continue providing for the first wife and her children in the same manner as before (including housing provisions); and (5) either spouse has the right to petition for divorce. Upon divorce, the husband is required to pay alimony to the wife (no similar stipulation is applicable to the wife) (GOM Family Code 2004). The Family Code also includes progressive succession principles. Under the Code, spouses have the right to inherit from each other. Surviving spouses, descendants, and ascendants have priority for inheritance, and brothers, sisters and half-siblings all have the right to an equal share. In addition, a surviving spouse maintains tenancy of the residence until death or remarriage. Individuals are not allowed to dispose of more than a third of their property if spouses, descendants or ascendants are still living (GOM Family Code 2004; WLP 2005). Comprehensive and systematically collected information regarding the extent to which women in Morocco have benefited from legislative efforts to improve their rights to hold and control land has not been reported, and the available statistics regarding women’s land ownership are limited and dated. In 1993, only about 4.4% of agricultural land was owned by women. A study of melk ownership patterns in five regions in the late 1990s found that women had individual rights to about 14% of melk (agricultural and non-agricultural) and were joint owners of about 37% of melk. 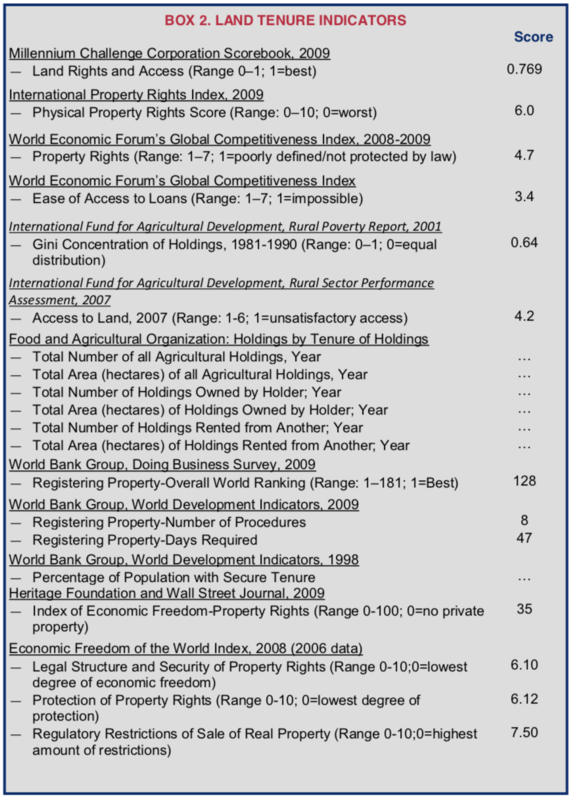 Overall, women’s landholdings were about half the size of men’s holdings (FAO 1995; Aldeshev et al. 2009). More recent studies of women’s land rights are needed to determine whether their access to and control of land has improved in the last decades, and particularly in the years following the enactment of the 2004 Family Code. Experience with Islamic law suggests that absent affirmative efforts, the Code may not have the desired impact on women’s rights. Shari’a law unequivocally provides daughters with a share of the family property, yet in areas such as the Middle Atlas, women nonetheless commonly sign their rights over to their brothers or other male family members in order to keep land within the natal family. However, anecdotal evidence suggests that in favorable circumstances where communities are aware of the provisions of the 2004 Family Code, some positive changes have occurred: women have asserted their right to participate in decision-making and, in some cases, male heads of household have recognized women’s rights in issues such as marriage (Aldeshev et al. 2009; Chatty 2006; Naqrachi 2007; Skalli 2001; OECD 2009). In addition, associations supporting women’s rights have had a positive impact on women’s land rights. In 2008, the Democratic Association of Moroccan Women (ADFM) protested a government purchase of communal land, with payment of compensation given only to male community members in contravention of the government’s own procedure. In response to the pressure and media coverage, the Ministry of the Interior agreed that women should receive an equal share of any compensation paid for communal land (ADFM 2009). Morocco has parallel systems of land administration: a formal cadastral system that was instituted by the French in 1913 and a traditional system. Under formal law, land rights must be registered with the Land Registry (Conservation Foncière), which is under the auspices of the Ministry of Justice. The National Cadastre Department manages an inventory of geographic, economic and social information on registered parcels for which the cadastre is operational (an estimated 1.6 million hectares). The Land Registry is charged with responsibility for issuing title deeds and updating the registry with land transaction information to the extent that parties to transactions provide such information. Local land administration and land use are managed by provincial and commune-level government officials. Traditional systems recognize informal documentation of land rights; land rights are evidenced by the Islamic title deed (moulkiya) or by witnesses and records maintained with traditional leaders and the landholder (World Bank 2008; M’Hassni et al. 2003). The Ministry of Agriculture and Maritime Fisheries (MAPM) is responsible for developing agricultural policy. Regional Directorates implement ministry policy and programs at the provincial and local levels and deliver extension services (Berkat and Tazi 2004). Trusteeship Councils, which are staffed by representatives for the Ministry of the Interior, the Ministry of Agriculture, the Director of Political Affairs, and other government appointees are responsible for overseeing tribal land. The Trusteeship Council hears land disputes and reviews all land allocations (World Bank 2008). Historically, tribal village councils acted as guardians and administrators of village land and resources. As communes were established, elected and appointed local officials have gained influence. Localized studies report that, in some areas, two positions on village councils – the subdistrict officer (shaykh) and village head (muqaddam)– are proposed by the provincial governor. These council members: represent the interests of the government on the village council; collect information about subdistrict- and village-level activities; communicate government policy; and help facilitate programs. The shaykh and muqaddam help mediate between the interests of the government and the local communities, and regional and district governments use the officials to help implement government policy, such as land-use planning or closing a forest for reforestation. The shaykh and muqaddam can call on the district officer (caid) to help enforce policy directives. In other areas, the village council itself selects the shaykh and muqaddam, suggesting less government involvement in day-to-day land administration. The information on these variations is based on limited localized studies that do not lend themselves to conclusions about the nature of local governance systems nationwide. However, the studies suggest a trend toward recognition of government authority over natural resources, particularly in areas where the government has supported development projects has helped create local resource user groups, and where the government represents a broader range of community interests than the village council (Leveau 1985; Venema 2005; Aubert et al. 2009; Venema and Mguild 2002; Oshima 2005). A formal and relatively sophisticated land-market exists in Morocco’s urban areas. Between 2002 and 2008, land prices in these areas increased as Morocco became a more attractive place to invest. Mortgages are available for 12–25 year terms. Under current legislation, a deposit of 30% of the purchase price is required for a maximum mortgage of 70% of the purchase price. The government regulates mortgage rates and attaches a 10% tax (Leveau 1985; MPILD 2008; Rae 2002; IMS 2009). However, although the formal land-sale market is relatively active and investment has been increasing in recent years, barriers still exist. A 2009 study of industrial development in the Middle East and North Africa region reported that commercial development in Morocco is constrained by: an inefficient land market; high land prices; confusion in land rights; reliance on informal mechanisms to transfer land; and lack of land data (Wahba and Ortiz 2009). Morocco’s collectively owned land cannot be sold. Within local communities, collective land is individualized and may be transferred in accordance with customary law. Privately owned land (melk) can be sold, and an informal market exists for unregistered land. However, melk tends to be retained within families and extended families, and sales to third parties appear to be rare. The market for agricultural land, most of which is melk, is very limited (GOM 2008; M’Hassni et al. 2003). Article 15 of the Constitution allows expropriation of land only under the circumstances and provisions prescribed by law. Morocco’s Expropriation Law (Law 7 of 1981) permits the state to expropriate land for reasons of public necessity or for temporary use. The determination of public necessity requires an administrative action, and the government must give public notice of its intent to expropriate the land. In determining the amount of compensation to be paid, the expropriator must first attempt to negotiate purchase of the property. If agreement cannot be reached, a committee consisting of various local officials will determine the price based on market value. Special provisions govern the determination of compensation for irrigated land. The state has used its powers of expropriation to obtain land for urban development. The extent of land taken and compensation paid does not appear to be reported (GOM Constitution 1996; GOM Expropriation Law 1981; GOM 2008; World Bank 2008). Land disputes are relatively common in some areas, especially in areas where cultivation is expanding into pastoral land used for livestock and newcomers are competing with established clans for land access and other natural resources. Other issues creating disputes include inheritance rights and land transactions. In some ethnically homogeneous areas, disputes can occur over third-party access to land. Disputes relating to registered land are governed by civil law, and cases must be brought to the court of first instance, which is responsible for authenticating land documents. An adoul, a religious man certified by the government, provides many legal services, including authenticating documents and serving as a witness. Inheritance cases and other cases based on personal rights may be brought before family courts, and mediation has begun to be used in resolving commercial land disputes (M’Hassni et al. 2003; Ngaido 2005; Touchent 2002; World Bank 2008; Venema and Mguild 2003; DAI 2010). The public perception of the formal court system is that the processes are bureaucratic and often corrupt. Adjudicators often lack training, and the various forums and legal systems (including civil law, religious law, and customary law) are not harmonized and are often conflicting and out of date. Most people seek local, informal methods of dispute resolution. In parts of the country, village councils function as the local dispute-resolution bodies. This is especially true for areas of the Middle Atlas, a region historically populated by nomadic sheepherders and one that remains arranged along tribal and lineage lines. Grievants who are dissatisfied with the decision of the village council or who choose not to have the village council hear their dispute can bring the matter to the district council. For some grievants, the district council offers the possibility of a forum that is not biased by clan and lineage (World Bank 2003; Venema 2005; Venema and Mguild 2002). Studies of agricultural land productivity in Morocco identify the lack of investment in the land as one of the significant constraints to improved productivity. Insecurity of land tenure and the lack of functioning land- markets are often cited as disincentives to investment and land productivity. There is evidence, however, that tenure insecurity may not be as widespread as assumed. Most rural land in Morocco is held in private ownership or under perpetual-use rights, and some surveys in Morocco suggest that holders of perpetual-use rights are as likely to invest in improvements to their land (e.g., planting trees, installing wells, clearing stones) as landowners. Most land rights are evidenced by informal documents that have social legitimacy within local communities and are enforced by local tribunals. Further, while land disputes are relatively common, they often stem from the pluralistic legal environment and competing governance systems rather than inherent ambiguity in rights. Land markets are also limited by the pluralistic legal environment that supports formal and informal land markets and by restrictions on the alienation of collectively held land. The government plans to revise the registration law to make the process more efficient and to provide legislative support for the privatization of individualized collective land. To date, however, there is no suggestion of a broadly conceived government plan to address issues of land access, tenure security, and land administration at the level of a national land policy or comprehensive land legislation that harmonizes or otherwise addresses existing tensions between formal and customary law (World Bank 2008; IFAD n.d.; IFAD 2008; ICARDA 2000). One of the objectives of Morocco’s Social and Economic Development Program for the period 2008–2012 is to enhance growth, export potential and investment in the country by focusing on key productive sectors such as agriculture while simultaneously developing infrastructure and implementing crosscutting reforms to improve governance and deepen decentralization for better service-delivery. The government’s Plan Maroc Vert (PMV or Green Morocco Plan) (2008–2020) implements the Social and Economic Development Program’s vision for modernizing the agricultural sector with projects focused on: irrigation water management; leasing state land for agricultural investment; and creating domestic distribution systems. The government created the Agricultural Development Agency, which is responsible for delivering PMV programs. PMV is offering concessions on state land located in 12 different regions for small, medium and large agricultural projects and requires large investors to create local jobs and use small farmers for production (World Bank 2010e; World Bank 2009c; Brassicas 2010). As of mid-2010, the state had leased 80,000 hectares of land for agricultural enterprise development, another 21,000 hectares had been identified and 3500 local jobs had been created. The government is seeking support from the African Development Bank (AfDB) and the World Bank for a variety of PMV projects, including research-based demonstration projects in pilot areas, development of integrated water-management systems in selected watersheds, and mainstreaming of climate-change adaptation processes. PMV does not appear to include any component addressing issues of agricultural land tenure (World Bank 2010e; World Bank 2009c; Brassicas 2010; AfDB 2010). Up through 2008, USAID, the Food and Agriculture Organization (FAO) and the United Nations Development Programme (UNDP) have funded projects focused on helping the government improve rangeland management. Project activities included: helping the government establish an office dedicated to rangeland management within the Ministry of Agriculture; providing technical assistance for the delimitation of areas for range improvement; and development of infrastructure to support improved management of rangeland. Programs have also included support for and strengthening of traditional tribal structures in the High Atlas region as part of an effort to improve land management. USAID has complemented efforts directed at governance institutions with assistance developing market linkages for sales of livestock (Berkat and Tazi 2004; Ecodit 2008; UNDP 2008; UNDP 2010; USAID 2009). Building on USAID’s Integrated Agribusiness and Agriculture Program, which concluded in 2009, the Millennium Challenge Corporation (MCC) funds activities in agriculture with a focus on increased agricultural production and credit availability. Of the total US $697.5 million Compact with Morocco, $301 million is dedicated to a fruit-tree productivity project. The project has the objective to stimulate growth in the agricultural sector and reduce volatility of agricultural production by: (1) rehabilitating existing olive trees and expanding production of olives, almond and fig trees; and (2) moving small farms from high water-use, low-value cereal grains to low water-use, high-value and drought-resistant commercial fruit-tree species; and (3) developing irrigation infrastructure. The project is focused on privately owned land and does not appear to include any attention to land access or tenure security (MCC 2010; USAID 2009). The South Korean government financed a small land registration pilot project in 2007–2008 in a rural commune in Tetouan province. Korean specialists created a methodology for developing a cadastre relying on aerial photography. The pilot project did not appear to extend to recording household and collective land rights (Kim 2010). With less than 1000 cubic meters of annual freshwater resources per capita, Morocco is considered a water-scarce country. Morocco’s surface freshwater resources include lakes, rivers, coastal lagoons and estuaries. Most of Morocco’s permanent lakes, including Aguelmame Sidi Ali (500 hectares), are located in the Middle Atlas region. Most of the country’s rivers are seasonal. The Moulouya, Sebou, Bou Regreg, Umm Rbia, Loukkous, and Transift are the largest rivers and are used primarily for irrigation and generation of electricity. The Al Wahda Dam (also known as M’Jarra) was constructed in1996 on the Ouergha River in Sidi Kacem Province in northwestern Morocco. With a capacity of 9714 million cubic meters, the Al Wahda Dam is the second-largest in Africa (after the Aswan High Dam) and supplies hydroelectric power (440 gigawatt hours annually), water for irrigation and drinking, and controls flooding. Observers have questioned the sustainability of the dam’s benefits because the reservoir is losing an estimated 60 million cubic meters of capacity annually as a result of stultification from erosion. The dam has also altered coastal ecosystems, increasing erosion, endangering habitat, and reducing fish stocks (Roudi-Fahimi et al. 2002; World Bank 2009a; Berkat and Tazi 2004; Ecodit 2008; UNEP 2010). Morocco’s coastal lagoons and estuaries support high levels of biodiversity and serve as nurseries for many species, including commercial saltwater species. The main Moroccan estuaries are Moulouya estuary on the Mediterranean coast and Sebou and Oum-Er-Rbiâs on the Atlantic coast. The most important of the brackish water systems are the lagoons of Nador, Restinga-Smir, Moulay Bousselham, and the lagoon-complex of Oualidia-Sidi Moussa (Berkat and Tazi 2004; Ecodit 2008). Morocco has annual freshwater renewable water resources of about 29 cubic kilometers, 22 of which are surface water. The balance is from groundwater sources. In 2007, 87% of freshwater withdrawal in Morocco was used for agriculture, 10% for domestic uses, and 3% for industry. About 1.4 million hectares of land is irrigated (World Bank 2009a; Berkat and Taki 2004; FAO 2010). Morocco’s rainfall varies among the country’s climatic zones and from year to year. On average, the desert and dry zones (78% of the country) receive less than 250 millimeters of rain annually. The semiarid zone, which includes the major cereal-growing areas and covers about 15% of the country, receives 250–500 millimeters of rainfall per year. The subhumid and humid zones in the mountain ranges and localized coastal areas (7% of total land) receive more than 500 millimeters of rainfall per year. Drought is recurrent, and the effects of climate change are evident; rainfall has been decreasing in all regions of the country over the last several decades (Berkat and Taki 2004; FAO 2010). Pollution from untreated domestic and industrial waste and pesticide runoff is increasingly contaminating water resources. Drainage, development, and urbanization are major threats to wetlands and coastal ecosystems, and coastal construction and urban and industrial expansion have destroyed wetlands. Pollution threatens estuaries, lagoons and lower river courses (World Bank 2009a; Berkat and Taki 2004; Ecodit 2008; GOM 2009; World Bank 2004). Morocco’s 1995 Water Law (Law No. 10-95) provides that water resources belong to the public domain unless they are subject to prior recognized and vested rights. The Water Law decentralized management of water resources to basin-level agencies and introduced a consultative process through which water users and public authorities develop water use, development and distribution plans. Potable water receives priority over other uses in times of water shortage, giving highest priority to local population centers and the watering of livestock. The law includes an environmental mandate and establishes a “polluter pays” principle (Salman and Bradlow 2006; World Bank 2004). Law No. 78-00 (1978) spells out the responsibilities of organizations and local governments for the delivery of potable water, sanitation, and wastewater treatment. Local municipalities can elect to deliver services through a regional enterprise or delegate that responsibility to the National Potable Water Board (Office National de l’ Eau Potable, ONEP) or a private firm (World Bank 2004; GOM 2003). The Agricultural Investment Code of 1969 supports development of irrigated farmland and imposes a minimum plot-size of 5 hectares for irrigated land (FAO 2005; Salman and Bradlow 2006). Water is a public asset in Morocco unless rights of ownership or use are established under legislation. The state charges fees for water-use that are set on a sliding basis, based on the socioeconomic status of those receiving the service. Wealthier recipients are charged at a higher rate to subsidize the services provided to the poor (Salman and Bradlow 2006; World Bank 2004). Private ownership. Under water legislation predating the 1995 Water Law, Moroccans were able to acquire private rights to water. Individuals possessing these rights continue to maintain their private water-rights, which can only be modified by expropriation for public purposes (Salman and Bradlow 2006; World Bank 2004). Authorizations and Concessions. The 1995 Water Law specifies the conditions for granting permits for both surface and groundwater exploitation. Applications for exploitation are subject to public inquiry and the terms of permits determined by the relevant basin authority and water commission. Payment of a fee established by regulation is required. Most permits are transferable except those granted for a specific purpose (Salman and Bradlow 2006; World Bank 2004). Customary Rights. In additional to formal law, customary law governs the use of water resources and maintenance of infrastructure in some areas of the country. In southern and eastern margins of the Atlas mountain range, many communities continue to recognize the traditional khattara (qanat) system. The khattara system manages groundwater use for irrigation under customary law of distribution. Water users are divided into irrigation groups and leaders selected for each group. The groups regulate their water-use based on the needs of particular members; each water user is responsible for payment for the resources used and contribution to maintenance and rehabilitation in proportion to the user’s use (Oshima 2005). The Ministry of Energy, Mines, Water and the Environment has central-level authority for Morocco’s water resources. The Ministry of Agriculture, Rural Development and Fisheries is responsible for irrigation water. The High Council on Water and Climate is responsible for formulating national water policy. Catchment Basin Authorities author basin master plans and issue water-usage permits. Water-user associations formed at local community levels work with local authorities to manage distribution of water resources and maintenance of infrastructure. In some areas where traditional khattara systems are operational, they have formed the basis for water-user associations recognized under formal law (Salman and Bradlow 2006; GOM 2008; Oshima 2005). Local municipalities are responsible for local water and sanitation services. Public operators of water and sanitation services include 13 municipally owned organizations and a growing number of private enterprises. The National Potable Water Board (ONEP) is responsible for 80% of the nation’s potable water production and for water distribution in smaller towns and rural areas (including about 300 medium to small towns) (World Bank 2004). The Ministry of Equipment conducts water-resource quality inventories throughout the year, which allows for the mapping of water quality by comparing the results of physical-chemical and bacteriological tests (GOM 2009). Morocco’s water-sector challenges include the need to manage scarce water resources, weaknesses in sector governance and institutions, inefficient agricultural water use, and improvement of delivery of potable water countrywide. Two of the government’s large water projects have focused on the supply of drinking water in rural and urban areas. Morocco’s Rural Water Supply and Sanitation Project, which began in 2005 and is scheduled to run through 2012, is designed to increase access to potable water in rural areas of El Jaded and Safi provinces. The project also aims to strengthen the National Potable Water Authority (ONEP)’s capacity and to support development and strengthening of Water User Associations. The project has five subprojects in each province. As of the end of 2009, work was underway in all five subprojects of El Jaded Province, and project implementation was underway in Safi Province. Intensive social mobilization activities are ongoing in both provinces (World Bank 2009c; World Bank 2005; World Bank 2009b). Morocco’s Improved Access to Water and Sanitation Services Project, which began in 2007 and is scheduled to conclude at the end of 2010, followed an output-based approach providing connection to water and sanitation services for low-income beneficiary households in disadvantaged neighborhoods in the urban centers of Casablanca, Tangiers, and Meknes. The project has faced challenges providing services in an efficient fashion in informal settlements but has increased its original target of reaching 11,500 households by an additional 8500 poor households currently without services and is developing a model for service provision that can be used in other urban locations (World Bank 2010c; World Bank 2009b). USAID has been supporting the government of Morocco’s efforts to address challenges in the water sector since the 1960s. Between 1960 and 1974, USAID contributed to the construction of water projects such as the Mohammed V and Mocha Hamada dams, which allowed for productive use of thousands of hectares of semiarid land in the Oriental Region and continues to contribute to the livelihood of more than 50,000 seminomadic people. In the 1999–2004 period, USAID helped the government establish the Souses-Massa River Basin Agency and completed pilot projects relating to surface and groundwater measurement and drip irrigation. USAID’s Watershed Protection and Management (WPM) project, which concluded in 2005, improved water resources management in the Souss-Massa River Basin by promoting the efficient and sustainable use of forest, soil, and water resources in the Souss-Massa and Nakhla watershed through agroforestry and soil-erosion control activities and strengthening local capacity to manage natural resources (USAID 2010; Chemonics 2005). Most recently, USAID’s assistance program (2009–2013) promotes the optimal use of water resources to increase productivity, competitiveness and employment in the agricultural sector. Through its US $40 million new Moroccan Economic Competitiveness Program (MEC), USAID is supporting the government’s plans to promote more efficient use of water in the Plan Maroc Vert (PMV) initiative, including: integrated management of water resources; waste-water reuse; irrigation financing; and energy efficiency. Specific activities include support for the use of treated wastewater use in agriculture and development of Management Information Systems (MIS) for the Water Basin Agencies and the Regional Offices for Agricultural Development (ORMWA) (USAID 2010). Over the course of the MCC Compact period (2008–2013), MCC will support government efforts to increase the efficiency of water use to enhance the yield and profitability of fruit-tree production in the target areas through irrigation infrastructure improvements, which include: concrete lining of existing earthen canals, construction of diversion weir, storage basin and pumping stations; work on springs; and repair of subsurface drainage canals. The MCC will also provide assistance to existing agricultural water users’ associations in operations, management, and maintenance of irrigation water distribution systems (USAID 2010; MCC 2010). The World Bank is funding two new large water projects implemented by the government – one focused on drinking-water supply and the second on irrigation. The US $216 million Regional Potable Water Supply Systems Project (2010–2015) is designed to support the government’s plans to increase access to potable-water supply for selected communities in the project provinces of Nador, Driesch, Safi, Youssoufia, Sidi Bennour, and Errachidia. Project components include: (1) the extension or the renewal of water production systems, regional trunk lines for bulk water transmission, rural conveyance laterals, pump stations and tanks to supply villages, and in village tanks and public standpipe delivery systems; (2) mitigation of potential environmental impacts related to increased graywater flows in villages that may opt for Household Connection (HC) Service; and (3) implementation support and capacity-building to ONEP (World Bank 2010b). The second new World Bank-funded project is the US $156 million Oum Er Rbia Irrigated Agriculture Modernization Project (2010–2016), which is designed to increase agricultural productivity and to promote more sustainable use of irrigation water. Project components aim to: (1) provide participating farmers with irrigation service necessary for high-efficiency drip irrigation and development of water supply contracts between farmers and the ORMVA (Office Régional de Mise en Valeur Agricole, the regional agricultural development office) and farmers; (2) improve targeted farmers’ access to technology, financing and agricultural markets; and (3) assist implementing agencies (the Ministry of Agriculture and Marine Fisheries, ORMVAs) in developing capacity for project management and monitoring and evaluation (World Bank 2010a). The French Development Agency (Agence Française de Développement, AFD) is funding new irrigation schemes (EUR €114 million) and PAGER, a safe drinking-water project in rural areas (EUR €311 million) (AFD 2010). About 10% of Morocco’s land is classified as forest, 99% of which is state land and 1% private land. Coniferous forests of cedar and pine are found in the mountainous areas and higher elevations of the country. Central and coastal plains and foothills are dominated by broadleaf trees, oak and wild olive. Argan trees (argania spinosa), acacia, and vegetative scrub grow in the semiarid and arid regions of the south and eastern regions (Ecodit 2008; Mongabay 2010). About 1% of Morocco’s total land is dedicated to nationally protected areas, including national parks and biosphere reserves. Morocco began creating national parks and reserves in 1942 (Toubkal National Park) and has continued to consistently set aside land for park over the decades that followed. Recently designed parks include four created in 2004 (AI Hoceima, Talassemtane, Ifrane, and High Atlas Oriental). The government also created the 185,000-hectare Khnifiss National Park in 2006 in the Laâyoun Province, which is the first Saharan national park in Morocco. A national park in Khénifra was established in 2008. Morocco also has three Biosphere Reserves: (1) the southwestern Argon Forest Biosphere Reserve (2.5 million hectares); (2) the Southern Morocco Oases Biosphere Reserve (7.2 million hectares); and (3) the Mediterranean Intercontinental Biosphere Reserve (1 million hectares), which is divided between Morocco’s Tingitana Peninsula and Spain (Ecodit 2008; Mongabay 2010). Morocco’s forests provide habitat for about 675 species of birds, reptiles, and mammals, 4% of which are threatened or endangered. Endangered wildlife species include the Barbary Leopard, the Northern Bald Ibis, and Cuvier’s Gazelle. People live in most of Morocco’s forests, including the country’s protected areas. Many of the mountainous forested areas have very high levels of poverty. Cultivation of mountain slopes is difficult, and local communities depend on the forests for grazing, fuelwood, and non-timber forest resources such as meat and medicinal plants. Income-producing forest products include mushrooms, cork oak acorns, truffles and carob pods (Mongabay 2010; Touahri 2007; Ecodit 2008). Morocco loses an estimated 30,000 hectares of forest per year as a result of agricultural expansion, overgrazing, fuelwood and forest-product collection, logging, fire, erosion and watershed degradation. Forests also suffer from invasive species such as acacia molissima, which was widely planted for the production of tannin and has overtaken some areas. The country has active forest regeneration and plantation programs. Morocco had a net gain of about 2000 hectares of primary forest annually in the 2005–2010 period. The country also added an estimated 621,000 hectares of plantation in the same period. The average annual reforestation rate in the 2005–2010 period was 0.1% (Mongabay 2010; World Bank 2009a; Touahri 2007; Ecodit 2008). Morocco has more than 30 different laws and decrees that relate to forests and forest management. The decrees of 1917 and 1976 are the primary legal instruments. The 1917 Decree of Forest Protection and Exploitation was issued under the French protectorate. The decree provides for state ownership of forests, with local communities retaining some user rights, including grazing rights for household livestock. The Decree of 1976 increased local government control over forestland and rights to forest products and allocates 100% of revenue from the sale of certain non-timber forest products to local government. The decree also allows for contracts between local communities and the state for community participation in forest management. However, regulations implementing the decree have not been enacted, and Morocco does not yet have a well-developed program of participatory forest management (Buys 1999; Ecodit 2008; Aubert et al. 2009). In many areas, customary law continues to govern forest management use, especially over natural forest (as opposed to reforested areas). In Berber communities in the High Atlas region, village assemblies (Jmaˆa) define the rules concerning forest-resource exploitation with reference to principles such as agdal, which is a customary law preventing cutting of trees and tree branches except in certain circumstances (e.g., construction of a residence, natural disasters) (Aubert et al. 2009). License. Licenses to access forests for commercial harvesting activities and to remove forest products are available from the government. The licensees have rights to the production, although some percentage of receipts from timber sales and other products must be paid to the local government. Licensees are required to follow strict guidelines to ensure sustainable use, although in practice the government’s enforcement of the guidelines is weak. The state tends to grant licenses for commercial harvesting to relatively wealthy urban dwellers, presumably because they are best able to make the statutory (and possibly extralegal) payments for the license and are best positioned to access markets and obtain the highest prices. Local communities that are unable to participate in the benefits of commercial harvesting have little incentive to use the forest resources in a sustainable fashion (Ecodit 2008; Buys 1999). Communal usufruct rights. The formal law grants local communities the right to use some forestland and forest products (e.g., for harvesting dead wood and grazing family livestock, except goats) for domestic use, consistent with customary law and traditional practice (Buys 1999; Ecodit 2008). In areas subject to customary law and forest tenure systems, the village assembly sets rules governing forest access and use of forest products and imposes fines for infractions. In areas where the customary tenure systems have broken down and formal law is not enforced, state forests are treated as open-access resources. There are no controls on forest access or use and no organized management of the resources (Buys 1999; Ecodit 2008; Aubert et al. 2009). The National Forest Service (Haut Commissariat aux Eaux et Forets et à la Lutte contre la Désertification, HCEFLCD) is responsible for forest management and oversees overall conservation efforts. The HCEFLCD also has authority over the country’s protected areas, manages the country’s commercial wood production, and is responsible for providing support to forest cooperatives. The HCEFLCD has limited capacity, and illegal exploitation of forest resources is common (Chatty 2006; Buys 1999; Ecodit 2008; Touahri 2007; FAO 2003). Forest cooperatives have recently received institutional support from the Forest Service to begin taking local control of forest resources. The cooperatives require further assistance in the areas of bookkeeping, business management, governance, and resource management techniques (Ecodit 2008). In many areas, traditional governance structures such as the village council manage forest resources in accordance with customary law. In areas where the government has attempted to assert some control over forest resources, various systems result. In some areas, communities and forest officials have negotiated some aspects of forest use. In other areas, the government has been powerless to enforce the formal law, and customary law prevails. In a third type of circumstance, some customary systems have broken down entirely because villagers were able to obtain greater access to forest products by paying government officials than they were permitted under the customary systems that tend to support sustainable use of forest resources (Aubert et al. 2009). In 1999, the government adopted a National Forest Program promoting an approach to forest management that combined strategic planning and long-term decentralized and participative processes. The program recognizes the need to improve the livelihoods and incomes of rural populations and the role that rational, sustainable and participatory management of natural resources can play in that process. The government has taken some steps to implement the National Forest Program, including adopting a decree that allowed local forest users to be compensated for the exclusion of grazing animals from forests. Overall, government efforts to promote and sustain participatory forest management programs have been limited (Aubert et al. 2009). In 2004, the government adopted the Moroccan High Commission for Water, Forests and Combating Desertification Plan, which includes a variety of strategies to combat desertification, including afforestation and reforestation campaigns, the establishment of protected areas, and the conservation of forest resources. With the support of the German Federal Ministry for Economic Cooperation and Development (BMZ) and the Global Environment Facility (GEF), the government is in the process of revising the institutional and legal framework and developing strategies for coordination among relevant ministries on topics such as financing the sustainable use of resources and the development of ecotourism, environmental education and participative resource management. Specific areas of attention during the 2006–2011 funding period include strengthening regional forestry authorities, local civil-society associations, scientific institutions and the private sector in the Tazekka, Toubkal, and Souss-Massa national parks, the Tamri protected area, and in the region of Agadir, which is threatened by desertification. To date, the government has undertaken about 70 activities, including development of a new law protecting endangered species, drafting an environmental handbook, and developing a framework for management of national parks (GTZ 2009). In 2006, the HCEFLCD initiated a program of participatory approaches to forest management involving forest cooperatives. The program grants timber rights to local communities and provides employment for forest monitoring, giving them a financial stake in the protection and use of the forest. In one region where 27,000 hectares are under 10 local forest management contracts, illegal forest use fell nearly 98% the first year where cooperatives conducted patrols and surveillance of the forest. An evaluation of the program was generally positive but noted that the program used short-term contracts and focused on limited activities, which undermined the development of a long-term perspective. A longer-term forest-enterprise program supporting community harvesting of rosemary, which was supported by USAID, produced more potentially sustainable results (Ecodit 2008). A US $10 million UNDP/GEF project seeks to reverse the effects of overgrazing and degradation of forest and rangeland through the development of comanagement systems in two pilot communes in the Middle Atlas. The pilot communities will be structured and empowered to harvest/market forest products in return for adopting range management practices that ensure the natural regeneration of the forest (Ecodit 2008; UNDP 2010; UNDP 2008). The European Commission (EC) has been supporting the government in the implementation of its Moroccan High Commission for Water, Forests and Combating Desertification plan. The EUR €24 million Participatory Development of Forest Areas of Chefchaouen Province Project was implemented in the 1999–2008 period. Forest cover in the area suffered from severe degradation due to excessive exploitation of natural resources and illegal cultivation of cannabis. The project: supported several income-generating activities for the local population; helped establish the Talassemtane National Park; developed tourism activities; created a rural women’s center; and conducted forest inventories (Ecodit 2008; Europa Jaratuna 2009). In June 2010, the FAO and the Government of Morocco signed an agreement under which the FAO will provide technical assistance to support the government’s forest preservation program. The agreement will run through 2014 and is valued at US $994,000 (Morocco Business News 2010). Morocco has an estimated 70–75% of the world’s reserves of phosphates and is the world’s third-largest phosphate producer (after the US and China). The country also produces about 6% of the world’s production of barite and 2% of the global production of cobalt. Morocco also produces copper, fluorspar, iron ore, lead, manganese, salt, silver and zinc. Mineral deposits are primarily located in the Atlas and Rif mountains, the Atlantic shore, and the eastern and southeastern regions. To date, Morocco’s natural gas and petroleum reserves appear to be relatively small, but exploration is ongoing. The mining sector accounted for 7.3% of GDP in 2008 and employed about 37,000 people (Newman 2010; Business Monitor International 2010; African Economic Outlook 2010). Ninety-five percent of Morocco’s mineral sector is phosphate production. The state-owned phosphates producer, Office Chérifien des Phosphates (OCP), is responsible for the bulk of both mined ore and derivative products output. The world phosphate market experienced a precipitous 74% fall in the first half of 2009 but recovered sufficiently to support continued growth in the sector. The outlook is for moderate sector growth over the next decade (African Economic Outlook 2010; Mbendi 2010). The largest private mining company in Morocco is ONA (Omnium Nord Africain), which dominates the metallic mineral mining subsector. As the state has privatized its mining operations over the last few years, ONA has acquired a substantial percentage of state assets (Mbendi 2010). Morocco has between 12,000 and 15,000 small-scale and artisanal miners working in operations that produce less than 5000 tons of marketable products annually. Small-scale mines provide about 40% of domestic production. A large number of small miners work in the 1600 lead and zinc mines in the dry Tafilalet and Figuig region in southeastern Morocco. Most miners lead nomadic lives, working in a succession of mines and living in tents close to active mining sites. The government helped form La Centrale d’Achat et de Développement de la Région Minière de Tafilalet et de Figuig (CADETAF) to promote and support the interests of artisanal miners in those regions (ILO 1999; World Bank 2000; Mbendi 2010; GOM 2008 ). Coastal sand-mining operations in Morocco are among the world’s largest. The extraction of sand and destruction of dunes has created lunar-like landscapes on the coast, destroyed the littoral marine ecosystem, and is endangering adjacent wetlands. Mining operations also increase the vulnerability of coastal infrastructure to storms and rising sea-levels and reduce the value of the beaches for tourist facilities (Pilkey et al. 2007). Morocco’s primary sector legislation is the Mining Law of 1951, the 1957 Mining Regulations, and the Mining Code Bill No. 1-73-412 of 12 August 1973. A 1960 decree regulates small-scale mining in the Tafilalet and Figuig region. The legal framework provides that all minerals are the property of the state. Rights to explore for and exploit minerals are granted by permit and license and are subject to the regulations imposed and enforced by the state. Regulations are designed to ensure that the country’s minerals are developed in a rational and profitable fashion. The state may designate certain areas for exploitation by small-scale and artisanal miners. The right to exploit a mineral deposit is generally granted on a “first-come, first-served” basis, although the state maintains a monopoly on phosphate production (GOM Mining Law 1951; GOM Mining Regulations 1957; Newman 2010). Exploration permits are available for an initial period of three years, renewable for another four years. Initial permits are granted for areas of 16 square kilometers. Additional permits may be obtained for a maximum area of 250 square kilometers. Reconnaissance licenses for exploration for hydrocarbons are available for 1-year renewable terms. Mining permits are granted for an initial period of four years, renewable for three 4-year periods, with possible extension if workable deposits are discovered. Mining concessions are issued for periods up to 75 years and renewable for another 25-year period. License-holders are responsible for paying annual fees and taxes. Some incentives are available in the form of customs duty and tax exemptions on imported equipment and exported mineral production. The state may also contribute to the development of mining infrastructure (GOM Mining Law 1951; Newman 2010). The Ministry of Energy and Mines is responsible for developing and implementing government policy in the areas of energy, mines and geology as well as control of other sectors dependent on his authority. The ministry is responsible for: (1) ensuring proper management and development of energy and mining resources; (2) identifying options and taking measures to guarantee the security of energy supplies, to generalize access to commercial energy services for rural and urban areas, and to ensure the safety of people and energy and mining facilities; (3) organizing the smooth functioning of markets for electricity, gas and oil as part of the consolidation of a liberalized energy market and integrated into its regional environment; (4) animating and scrutinizing the actions aimed at strengthening exchanges and cooperation with all governments, agencies and partners involved in the development of energy and mining; and (5) establishing databases and collecting information needed to develop an economic analysis and strategic impact assessment through the establishment of a system of observation and planning energy and mining (GOM 2008). The National Office of Hydrocarbons and Mines (ONHYM) is the primary agency for the exploration and promotion of national mining resources. The state-owned Bureau of Mining Exploration and Development (Bureau de Recherches et de Participations Minières, BRPM) has been responsible for the development of most mineral resources found in Morocco to date. Phosphate production is a state monopoly managed by the state-owned Office Chérifien des Phosphates (OCP). Sixteen Regional Directorates and nine Provincial Directorates implement policy and regional and provincial plans and programs (GOM 2008; Business Monitor International 2010; Pendleton 2009). Morocco has been privatizing state-owned mining assets and has opened investment opportunities to foreign companies, either as joint ventures with the Moroccan government or as 100% foreign-owned ventures. The country has also been conducting geological mapping. The government has encouraged foreign investment in oil exploration, extending permits covering almost 200,000 square kilometers, about half of which are offshore. The state has also been updating the legal framework governing the mining sector, but progress toward the adoption of a revised framework is unknown (GOM 2008: Newman 2010; Business Monitor 2010; The Hindu 2009). The government is supporting the development of small-scale and artisanal mines with a program designed to upgrade existing small mines; promote job creation in the various mining areas to generate local wealth; reduce levels of poverty among rural populations and limit the rural exodus; and increase the chances of exploitable deposits on an industrial scale. The beneficiaries of this program are all natural or legal persons who hold small- scale mining permits and will receive support in the areas of: geological and mining techniques; accounting and financial management; market studies and inventories; and health and safety. The program has an initial term of three years, running from 2008 to 2011 (GOM 2008). The International Finance Corporation (IFC) committed US $29.3 million to Ymna Asmet to build a greenfield cement plant that will create jobs and help a private local company enter this predominantly foreign-run sector. This investment will help make cement prices more competitive. Ymna Holding, which owns Ymna Asmet, is one of Morocco’s leading private-sector industrial companies and also focuses on housing development and tourism (IFC 2009). The Arab Industrial Development and Mining Organization (AIDMO) is based in Rabat and is dedicated to improving quality and production in the mining sector by: setting standardizing measures; providing for regional and international technological cooperation; and creating an integrated network dedicated to improving sector performance. The group has been active in working with the government on the development of mining policy (GDN 2010).